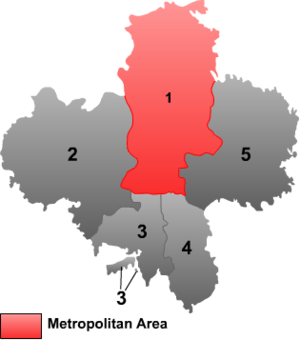 One of the other districts is Pengyang, the county labeled 5. 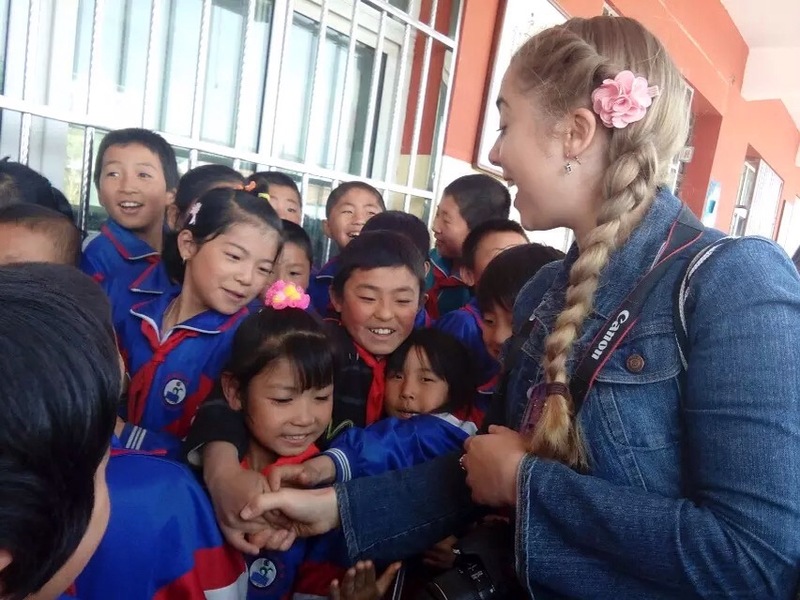 Last week I had the chance to visit Pengyang with the Student Union! 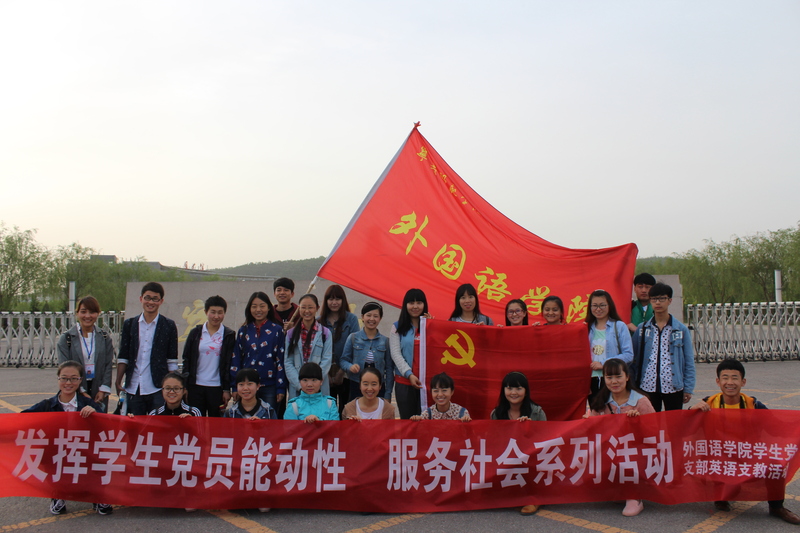 It turns out, every spring they organize a trip for the English students to visit a primary school within the countryside of Guyuan and teach English. When I heard of the event, I eagerly cancelled my own classes to travel with the students (many of them my own) and observe their teaching! We loaded the bus early, setting off down the highway with the morning sun glaring ahead of us. We winded our way through the unique hills of Guyuan, the terrain growing more mountainous heading south. After an hour, the bus pulled into a dusty drive and we filed off, stretching the yawns out of us! 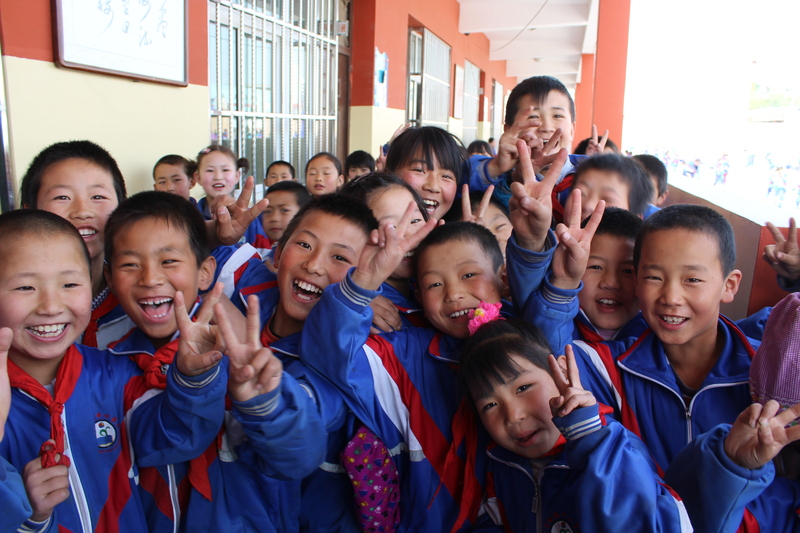 As we entered the gates of the school, children in blue uniforms bustled around, doing their morning cleaning. 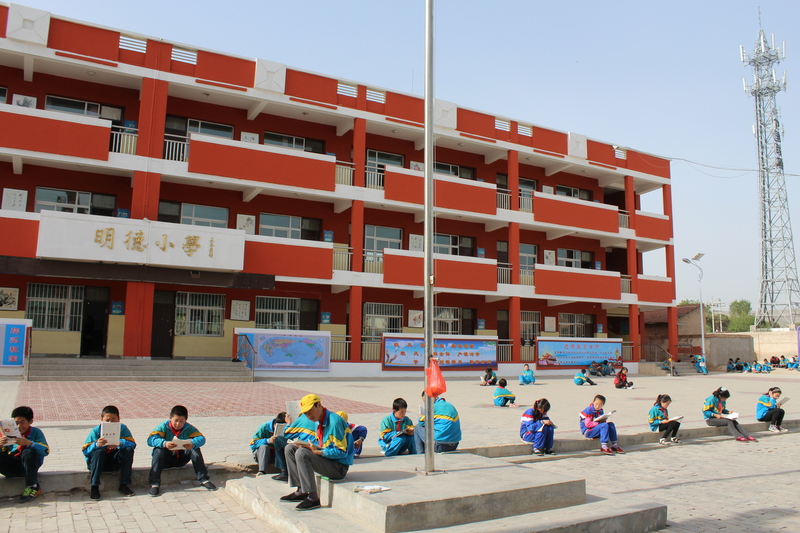 We were ushered into the dining hall for a quick breakfast of mantou (steamed bread) and zhou (porridge) before the bell rang and classes began! 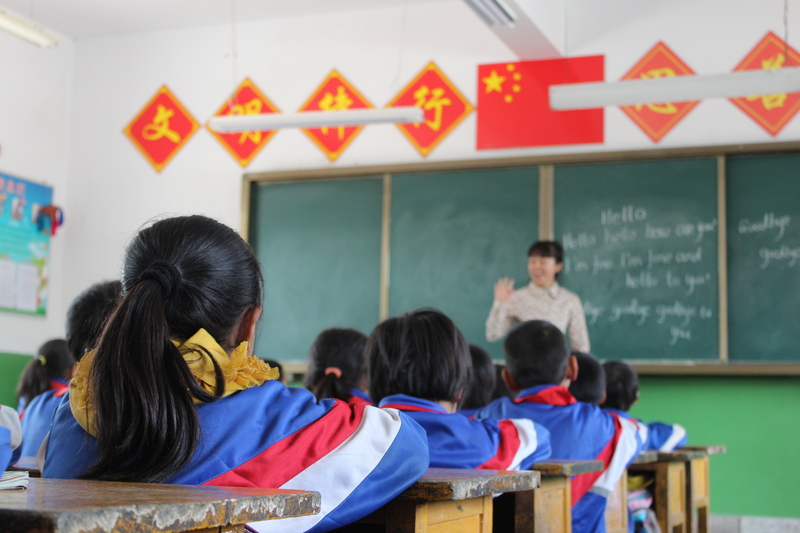 Each of our University students, about 30 in total, were assigned to a classroom (separated grades 1-6) and taught a 50 minute English lesson. Topics ranged from teaching the ABCs (in grade 1) to discussing family vocabulary (in grade 5). It was interesting to watch my students interact as teachers in the classroom, teaching in Mandarin to then provide English phrases. It made me realize how hard it would have been to be placed at a primary or middle school! Being able to teach in English to students old enough to understand me is a blessing! Observing the classroom also helped me to understand the academic environment many of my students grew up in. There is a formal sense of respect for the teacher and a unique discipline in class. 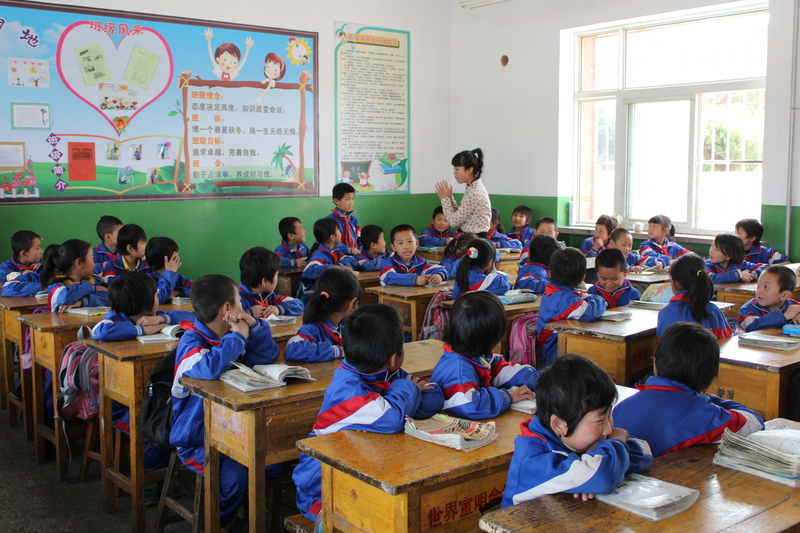 For example, when the teacher enters the classroom, the students all stand up and say lao shi hao (hello teacher) in a very loud voice. The same thing happens when the teacher exits, zai jian lao shi! I now understand why my students looked at me so funny at the beginning of the semester when they discovered that I show up to class before the bell rings! Many of my students will still ask me for permission to enter the room even if the bell has not rung yet. After the first period, the University students returned to the dining hall to prepare a short program for the 6th grade students. I was impressed by the creativity of events! 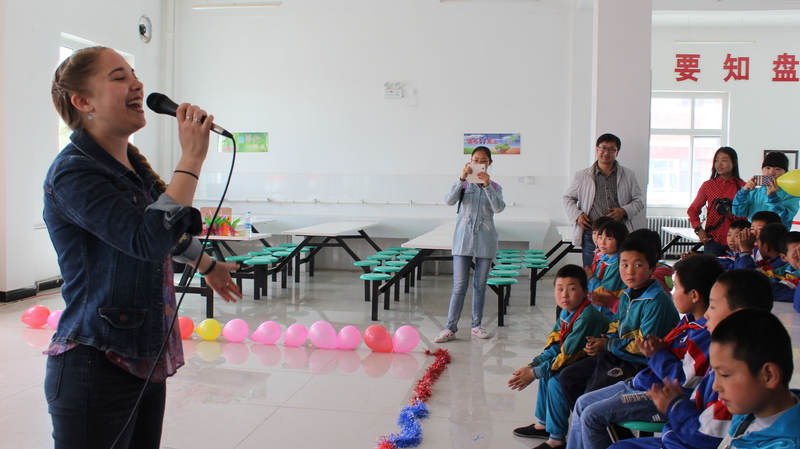 Various students prepared songs, dances, and even games for the primary students to participate in! 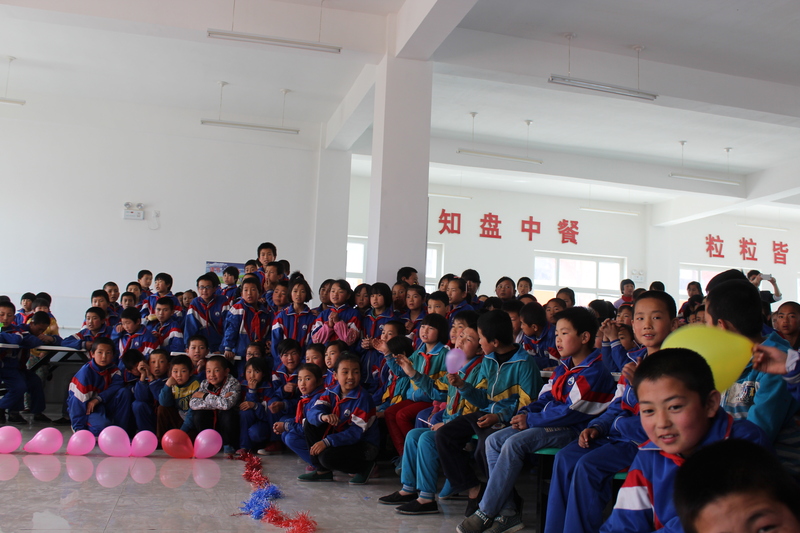 These students only receive 2-3 English lessons a week and rarely have guest teachers, so they were overjoyed to be able to learn English and engage in activities like songs and games to learn. In the meantime, enjoy these pictures from the day as well as this video!